Ignore the critics. 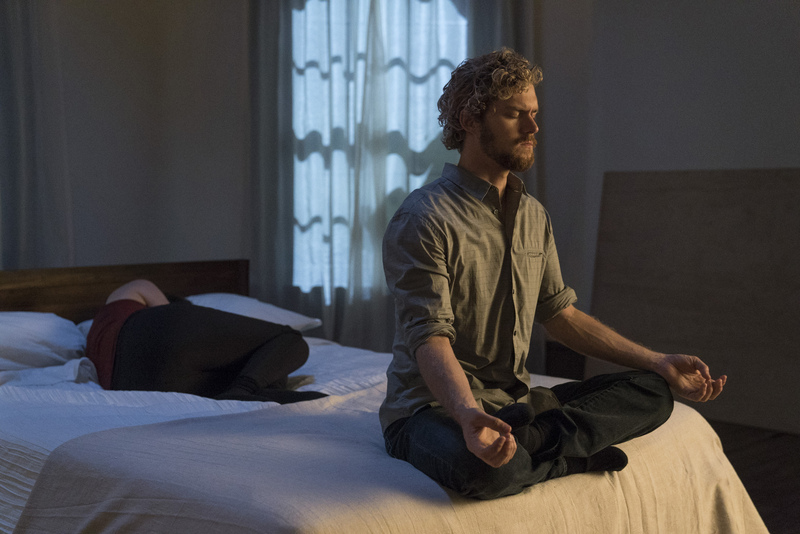 The spiritual journey of 'Iron Fist' makes it worth watching. Remember “Iron Fist,” Netflix’s recent kung fu TV show? It debuted just last month, but already it has vanished from the conversation, having been put through a brutal set of roundhouse kicks and chops from critics. “Netflix and Marvel’s ‘Iron Fist’ is an ill-conceived, poorly written disaster,” announced Vox. It “isn’t just racially uncomfortable, it’s also boring”, said the Verge. “Deadly—in all the wrong ways,” offered Maureen Ryan in Variety. The lack of love came as no surprise to onlookers. From the moment Marvel announced lead character Danny Rand would be played onscreen by a white man (reflecting his comic book character), many condemned the project as yet another example of Hollywood whitewashing away Asians. Still, to me, the vehemence of these reviews seemed extreme. Writing in UPROXX, Alan Sepinwall said the show was so bad that none but “the most devout, masochistic Marvel completist” could watch it. As the premise suggests, “Iron Fist” provides lots of comic book kung fu pulp. But its real focus, surprisingly, is the struggle to overcome childhood trauma. One character Danny meets has developed a penchant for controlled substances, another for extreme fighting cage matches. And Danny himself has flashbacks to his mother being ripped from the plane, followed by scarily irrational explosions of rage. But what is really surprising about “Iron Fist” is the easy way in which spirituality moves through the piece. Danny is introduced to us as a childlike old soul; he walks the streets of New York without shoes or money, speaks to everyone he meets with an openness both charming and naïve, and draws strength from the stillness of quiet meditation and the flow of his own tai chi. These are admittedly the tropes of the classic kung fu story, yet they are presented here in a way that is far more natural and resonant. Rather than some nod to canon, they come off as an honest representation of one person’s prayer life. Danny’s spiritual practice affects others as well. Faced with distrust from someone he expects to remember him, he spreads oranges and flower petals around the stoop of her townhouse in a Buddhist gesture of reconciliation. Before a meal with Colleen, an Asian kung fu instructor whom he talks into helping him, he likewise stops to pray. In both cases, much as happens in real life, the gesture has an impact, drawing the characters and scenes to more thoughtful, open places. It is rare for television to allow its characters to have any sort of demonstrable spiritual life. It is rare for television to allow its characters to have any sort of demonstrable spiritual life, let alone for a show to appreciate the small but powerful impacts that spiritual activity can have on relationships or situations. “Iron Fist” offers both, in ways that feel unexpectedly deep and true. In later episodes, the show goes even further, exploring both the danger of using spirituality to bury trauma and spirituality’s great power to help us accept what is broken. Indeed, the central insight of this crazy kung fu superhero show turns out to be that true spirituality does not suppress one’s past but gives people a means to travel through it. It does not shut you down, it sets you free. I have got to think that in recent months the creators of “Iron Fist” have had to learn to do much the same. But while many have moved on to the ending of “Big Little Lies” and the upcoming “Fargo” and “The Leftovers,” I hope this show can still find an audience. For those interested in a story that speaks to the deeper questions and practices of our lives, there is fruit to be found here. Thank you for this shout out, and I will make a point of seeking out the program. Your comments remind me of other rare examples in pop culture where a spiritual life is unexpectedly addressed. One is the HBO series, "Big Love," where amid some jokes about polygamy and masculine stamina, there were depictions of people in turmoil spiritually and ethically and refreshingly. Another is Michael Mann's early 1990s film, "The Last of The Mohicans," which opens and closes with a prayer. How rad is that. Yikes, Father... I don't know. I watched the entire first season and was under-impressed. For a fellow who lived with monks for 15 years he seemed to learn very little. He would meditate or do Tai Chi -- then burst into a rage over seemingly nothing. Perhaps my expectations were too high after Daredevil -- a show that features a character with a moral compass because of his religious background. Into the Badlands? Jim McDermott, S.J., is a contributing writer for America.